I recently had the privilege of working with a Saskatchewan Top 100 (SaskBusiness annual list) organization, and the experience was noteworthy enough that I’ve asked permission to share their story here anonymously. The initial request was for me to facilitate a process that would help to bolster the resilience of the employee group. We discussed the organization’s mission, vision and values and determined that a set of cultural practices would serve well to nurture the resilience desired. For reader context, I define resilience as, “The ability to persevere, adapt and excel through life’s change, challenge and crisis.” It is more than bouncing back. The concept of bouncing back does not self-evidently incorporate the impact of the learning and growth that can be achieved through change, challenge and crisis. Difficult season often affect us in ways that profoundly impact our person, with the potential to be a very positive outcome. GRACE: I understand that no one is perfect, so I choose to embrace life, self and others with grace, neutralizing fear through empathy and compassion, enabling peace, growth, and fulfillment. PERSPECTIVE: I understand that purpose and meaning exist as opportunity and that I have a valuable role to serve within my circle of influence. AWARENESS: I choose to grow in mindful awareness of the impacts of my attitude, thoughts, behavior and communication, and the dynamics that hinder and/or enhance them. RESPONSE: I choose to humbly and purpose-fully exercise my freedom to respond, to be aligned in principle, word and behavior — expanding my capacity in life and mission. TRUST: I understand that trust is a decision, and that my character is revealed and grown through each decision I make – I desire to work, speak and act in ways that make me trustworthy and safe. CURIOSITY: I choose curiosity rather than defensiveness, to keep conflict healthy, ideological and objective, remaining vulnerably open to listen to understand, in the discovery of truth. I believe that wisdom of this organization’s leadership, revealed in this request, is remarkable. It should be obvious to all, that every organization is a human system, therefore the health of the organization and the individual are inextricably connected. One might even argue that organizations have as much to do with ecology (the relations of organisms to one another and to their physical surroundings) as culture. However, not every leader steps up to invest in a free, no-strings-attached benefit to the personal resilience of employees. 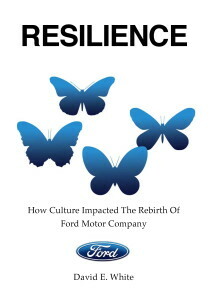 Life in business takes us through different seasons, and whether an organization is going through a season of change, challenge or crisis, the ability of the individuals to remain resilient within the incorporation, bolsters the resilience of the organization, but it also benefits the families, communities and planet as the character formation of the individual is writ large – whether the employee stays, or moves on. There is a synergy that happens when as we achieve purpose through our work, as we find purpose within it; the combined effect is greater than the sum of their individual parts. As we practice resilience principles together, we grow stronger individually and corporately.